Another season of The Biggest Loser has just wrapped up, and we saw two brothers from the great city of Chicago crowned as both the at-home winner and The Biggest Loser. Seeing them win reminded me of my experience on the show. The sense of pride and accomplishment that I felt for having dedicated myself to getting healthy and the recognition that came along with it. In just a few days I‘ll be celebrating my 8-year anniversary of having been crowned the at-home winner on Season 5. I can’t help but look back and think of all the things I wished I knew then that I am just beginning to fully understand about my experience now. So it’s in that vein that I write this letter of encouragement and advice to the new alumni of the show, in hopes that they will find a sense of peace, balance, and a greater sense of self -understanding. Below are three pointers, that I wish someone would have shared with me as I boarded the plane for home. The last several months have been a whirlwind and you have been inundated with not only the BL’s version of the “Do’s and Don’ts” of healthy living, but more significantly a wide range of emotions that you haven’t really had time to fully unpack. I know what you’re probably thinking, “I already talked it over with my trainer or other various staff from the show and I’m good”. Believe me when I say you’re not. I’m sorry to have to tell you but the experiences and emotions that contributed to your past state aren’t going to magically be resolved because of an on-air breakthrough. Although significant, your ability to identify some of those unhealthy contributing factors was just that, a breakthrough, needing further exploration, awareness, and will take time for resolve to be found. My suggestion is to identify a professional psychologist, psychiatrist, or certified life coach that you can work with to better understand the full impact of the transformation you have just undergone. I’d like to leave you little room for misinterpretation here, this is a professional much like an RD or certified personal trainer that you will need to have continual interaction with if you are going to see results. Please don’t overlook this tip if you are truly wanting long-term success this is just as critical as working out or eating healthy. Upon arriving home you’re going to be subject to all those familiar places and faces that played a part in your past life. Do not put off identifying, which things will serve to enrich your life and which things are better left in the past. I know…this is easier said than done, but take it one small step at a time. For example start with the easy stuff… that buffet style restaurant that you love to go to because it’s such a great deal. Let’s face it – you’ve already tried everything it has to serve up, it’s time to discover a better choice. How about getting rid of old clothes that no longer fit, in exchange for new better fitting ones…not only can that be fun, but it also allows you the chance to personally celebrate how far you’ve come. Now for some of those not so easy decisions, those personal relationships; you know the ones I’m talking about, that friend or family member who has been waiting to see you, so that they can celebrate your transformation by taking you to an old stomping ground or treating you to your favorite hometown treat. Redefining your relationships with loved ones can be tricky; it all comes down to communication. How would you like to incorporate that person into your new life? What role do you see them playing, that will contribute to the new you? How can you go about communicating that to them in a way that won’t harm the relationship? If it’s a casual relationship perhaps it won’t be that difficult but if it’s a loved one this can prove more difficult. My advice is to be open and honest with them about what you would like their new role in your life to be. Ask them if they are willing to work on your relationship so that it reflects the new you. If they are up to working with you in achieving your new goals then great, if not don’t be afraid to lessen your interaction with them, or if you have to, let it go altogether. How about those relationships you can’t simply let go of, a life partner, your kids, parents, a brother, or sister…this can prove extremely difficult. I’ve found some success in being unwavering in your dedication to living healthier. Plan your interactions with them to ensure they involve activities you are comfortable with and sit out those family get-togethers that you know are going to put you in a place that your not ok with. You owe it to yourself to communicate to those around you that this change wasn’t merely for the sake of the show. Lastly, it is critical that you take the time to redefine what health means to you. 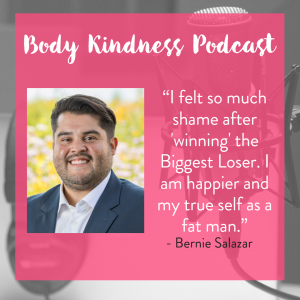 Prior to your experience on the show maybe you thought that being healthy meant seeing a certain number on the scale, or seeing a slimmer you in the mirror. On the show, it was all about grueling workouts and a strict diet. You literally went from not completely knowing what it was to be healthy to the total opposite extreme of counting every calorie you consumed and worked off. I hope by now you have begun to realize that health is more than a number. For me being healthy is a feeling; a state of being (mentally, emotionally, spiritually, and physically), the ability to be an active participant in my own life. If you would have asked me to define what it meant to be healthy after my time on the show, I might have given you a similar answer as the one above, but the difference now is that through hard work and careful self-reflection, I have moved past the rhetoric and actually understand and value what I was just sort of spouting off back then. Knowing that working out 3 to 6 hours a day isn’t realistic or that counting every single calorie you consume will eventually get old, how will you choose to define “Health”, so that the definition contributes to your wellbeing rather than stands for something you are in constant fear of not living up to. 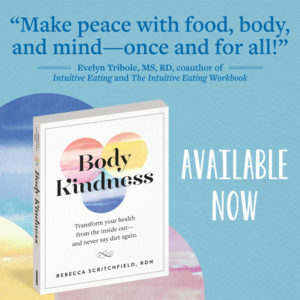 Redefining the term “Health” in your life will serve to help you identify and overcome the inevitable barriers you will encounter along your journey. Most importantly knowing what role health plays in your life, should you allow it, will provide you room for true self-reflection, complete self-care, true body kindness and lasting happiness. So there you are a few pointers from a fellow “Loser”, I hope this brief letter and the contents shared within help to shed light on some of the many things you might encounter along your journey in the years to come. I wish each and every one of you the very best and most of all continued Health. This is so interesting, what a great post and letter from Bernie. I love how he discusses total health, and encouraging others to take time for self love once they return home. It is so interesting after 8 years he has such a deep understanding of the entire process. Thank you for sharing.